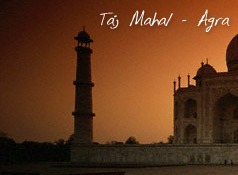 Arrive Delhi IGI Airport, meet & greet by our representative and get transfers to Agra. Upon arrival transfer to your hotel. Check in and time to freshen up. In the afternoon, proceed to visit the world famous Taj Mahal built by Emperor Shah Jahan in 1630 in memory of his beloved wife "Queen Mumtaz" to enshire her Mortal remains. Also visit Agra Fort built by Akbar, reflecting the skills of ancient Indian Architects. Overnight in Agra. After breakfast transfer to Sankasya, which is presently in Basantpur village in district of Farrukhabad in central Uttar Pradesh, which lies in the ruins of an ancient fort. About 500 yards from the village, in a sacred spot, is a temple is dedicated to Bisari Devi, which stands on stupa. It is believed that Buddha descened on this spot after preaching the Abhidharma (Sermon) to his mother in Trayastrima heaven. Later proceed to Lucknow for overnight stay. After breakfast proceed to Sravasti which is intimately associated with the life of Buddha. Sravasti, is the capital of the ancient kingdom of Khosala, lounded by the mythological king Sravast. Buddha spent 24 rainy seasons in Jetwana garden of this prosperous city. This important city emerged as a nucleus for Buddhism during the life of Buddha and later too. Age-old stupa, majestic monasteries and several temples near the village of the Sahet-Mahet highlights its relevance for Buddhists. Overnight stay in Sravasti Hotel. After breakfast drive to Lumbini. Lumbini grove, the sacred site of Lord Buddha's birth, is today in Nepal, 17 km from Sonauli on the Indo-Nepal border, north of Gorakhpur. It is being developed under a central master plan, for which the area has been divided into three zones: The Sacred Garden, International Monastic Zone and the new Lumbini Village. Overnight stay at Lumbini Hotel. Breakfast at the hotel. Late afternoon transfer to Kushinagar-is a revered place for Buddhists. Here Buddha attained Mahaparinirvana in his eightieth year. A temple dedicated to this event stands amidst a serene 'Sal' grove. The huge statue of the reclining Buddha exacavated in 1876 is an amazing sight. Also visit all other famous sights Overnight stay at Kushinagar hotel. After breakfast transfer to Kesariya. One of Buddha's most celebrated discourses is the Kalama Sutta in which he advised that his teachings will be accepted only after careful scrutiny and reflection. This discourse was delivered to the Kalam people while Buddha was staying in their chief town- "Kessaputta" on his way from Vaishali to Kushinagar. After visiting Kesariya we proceed to Vaishali. This place holds special significance for Buddhist devotees. At Kolhua, lord Buddha delivered his last sermon before reaching Kushinagar, hinting at his impending departure from the mortal world. Later, Emperor Ashoka erected a huge pillar to commemorate the event. Overnight stay in Vaishali. After breakfast transfer to Nalanda. Nalanda was the most renowned university in ancient India. It's name is derived from Na-alam-da, meaning 'insatiable in giving', one of the names by which Lord Buddha was known. Established in the 5th Century BC, it remained a center of learning till the 12th Century. Overnight stay in Nalanda . After breakfast proceed to 'Rajgir' Meaning ' The Royal Palace' it is a site of great sanctity and significance for Buddhists. The Gridhakuta hill was the seat from where Buddha delivered many of his sermons. After sightseeing of Rajgir proceed to Bodhgaya . Bodhgaya is a place where the Lord attained enlightenment under the Bodhi Tree as the 'All knowing one'. After attaining enlightenment Buddha spent seven more weeks in meditation in seven different places around the Bodhi tree. The Mahabodhi Mahavihara beside the Bodhi tree was declared a world heritage site in 2002. Overnightstay in Bodhgaya. After breakfast proceed to Sarnath, where Buddha preached his first sermon called the Dharamchakra Pravartana or 'Turning of the wheel of law' in the deer park, which contains the most impressive remains as well as a modern temple. The Dharmarajika, Chaukhandi and Dhamek Stupas are outstanding. There are also the remains of a monastery and the beautifully polished lion capitol of Ashoka. After sightseeing tour of Sarnath proceed to Varanasi for overnight stay. After breakfast proceed for full day sightseeing tour of Varanasi including the Bharat Mata Temple, Durga Temple, Sankat Mochan Temple and Tulsi Manas Temple. After attending the evening Aarti at the Kashi Vishwanath Temple, transfer to your hotel. 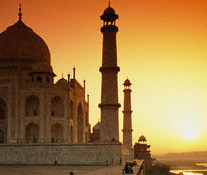 After breakfast at the hotel transfer to the Airport or Railways station to board yourflight /train to Delhi.